I mentioned the other day that I love hosting parties. One of the biggest challenges for us in living in a new place and not yet in our own home is that we don’t always have the freedom to invite friends over and get the house to ourselves. The other night we were able to host some friends over to eat dinner and watch some football and it really got me thinking about the Big Game coming up in a few weeks. 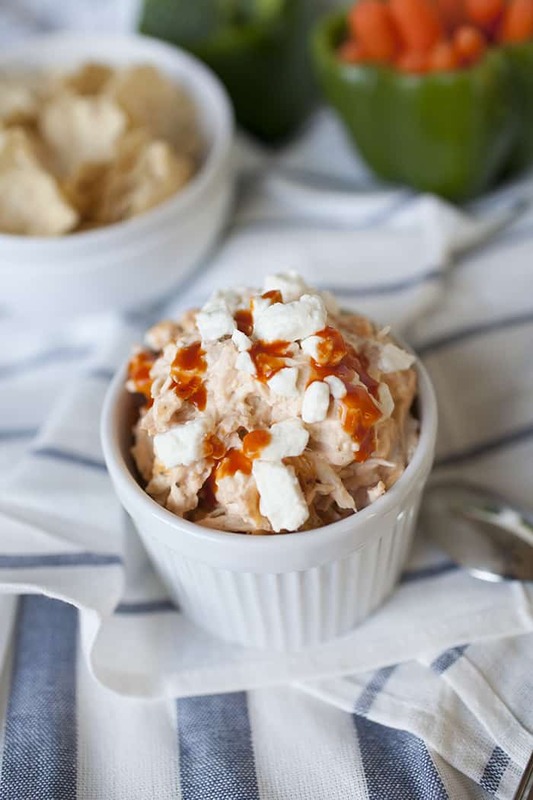 This buffalo chicken dip will definitely be on our menu! There are certain foods that just remind you of football. 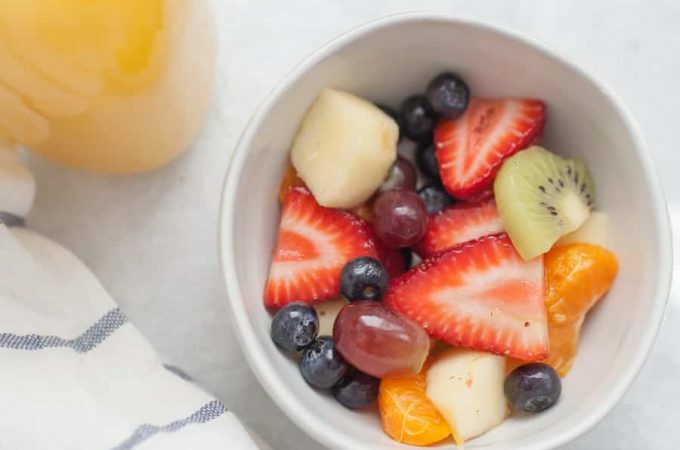 The foods are usually easy to eat finger foods so that your hands are free for a drink or for throwing your hands in the air for a touchdown. One food that always comes to mind when I’m thinking about a football party is any kind of dip. 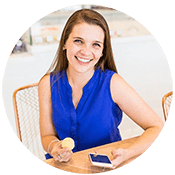 I love having a few to choose from to go with a bowl of Tostitos Scoops, which are my favorite chips for dipping. This new recipe I got to try out has made my top dip list. 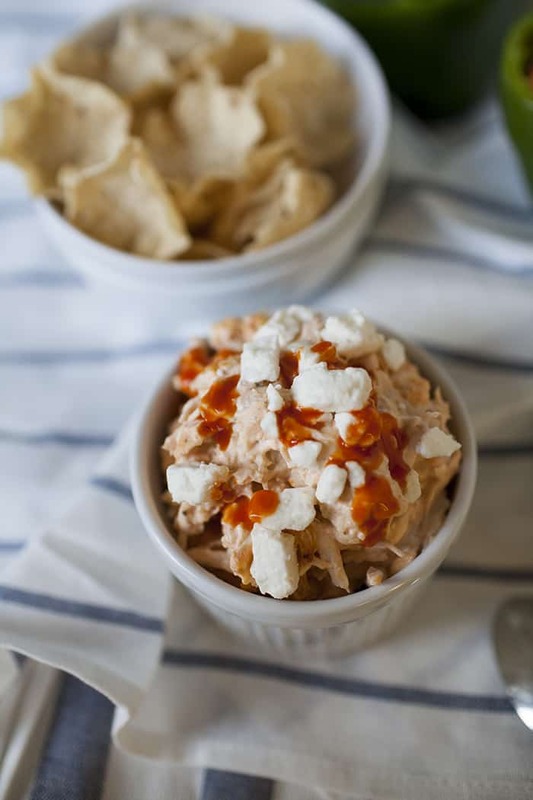 I’m usually not one to run for the buffalo flavored dishes, but this buffalo chicken dip has the perfect amount of spice (and can be easily made spicier if desired) and it’s super easy to make. Two wins in my book! A lot of the battle when trying to pull together a menu for a big football party is trying to coordinate how to get it all cooked on time. The beauty of this recipe is that it comes together in under 20 minutes from start to finish. 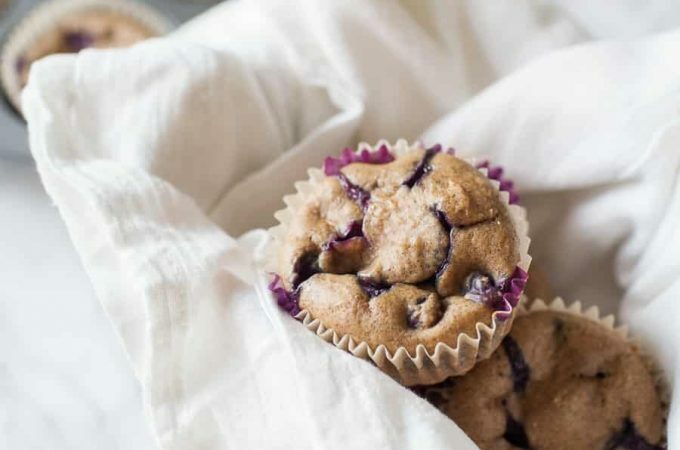 Even though it’s made in the oven, it doesn’t take long which means your kitchen will stay cool even once guests are arriving! 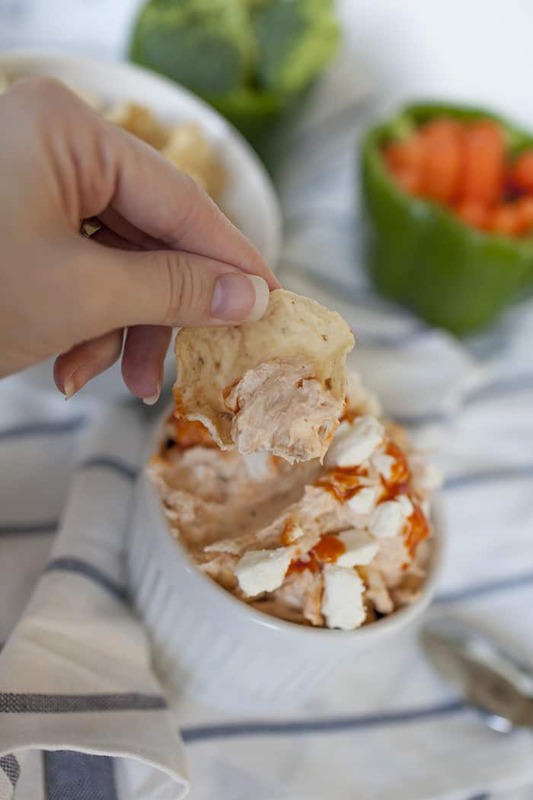 Whether you’re a Tostitos Scoops fan like me or you like to dip veggie, this buffalo chicken dip goes with just about everything. Chips, veggies, bread, etc., it can be used in so many ways. 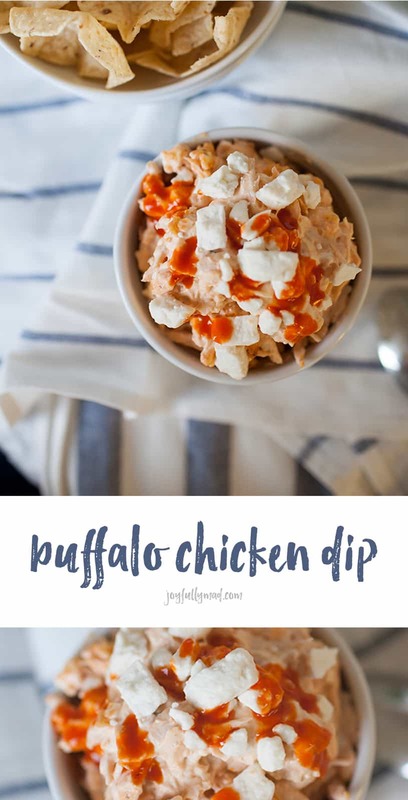 If you have leftover dip after the get together, you can also put these on a roll and make a buffalo chicken sandwich with it! For this dip, I used a rotisserie chicken that I got from our local Albertsons. This made the prep so easy because the majority of the cooking was already done for me. Plus, there’s something so satisfying about shredding a rotisserie chicken by hand! Albertsons had all of the ingredients I needed for my dip as well as some other snacks for the game. 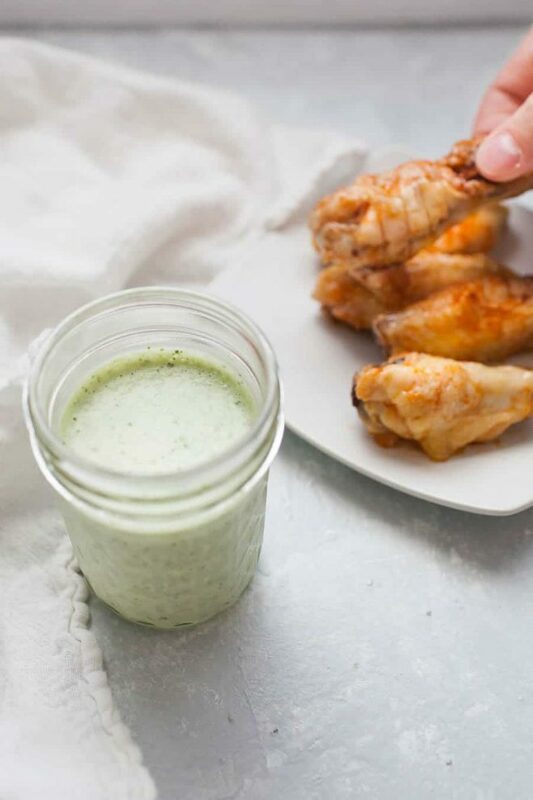 In a medium bowl, mix cream cheese, ranch packet, hot sauce, and Greek yogurt until well combined. 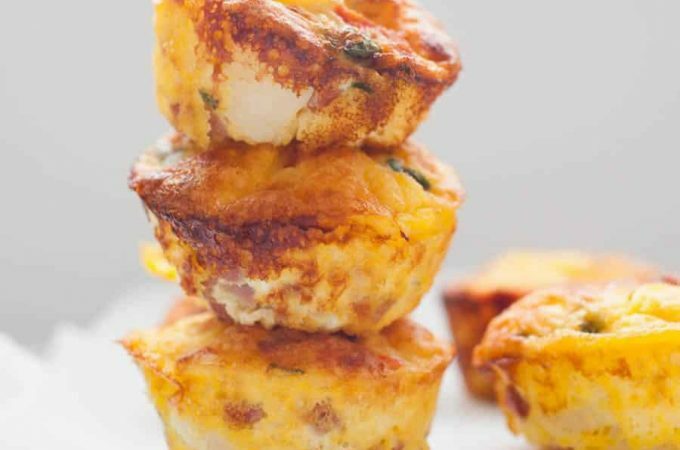 (If the cream cheese is hard to mix, microwave it for a few seconds and try again). Add in the shredded chicken and combine well. 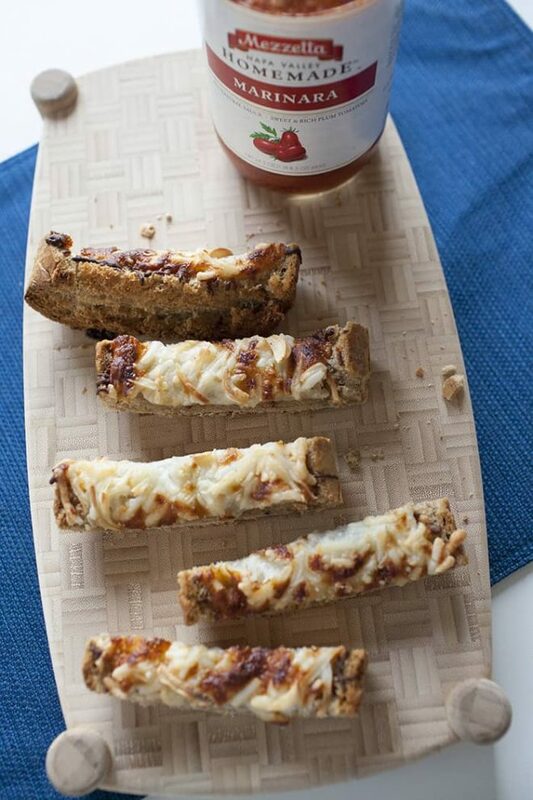 Pour mixture into an 8×8 baking dish, and bake for 15 – 20 minutes or until dip is hot throughout. If desired, top with sliced green onions or crumbled blue cheese and serve hot! If you’re planning to get friends together for the big game, make sure this dip is on your list! 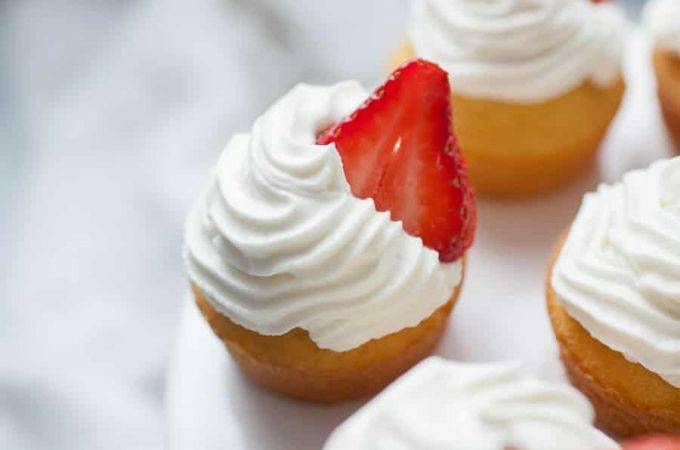 Better yet, go ahead and make a practice round tonight because it’s that easy and totally delicious! 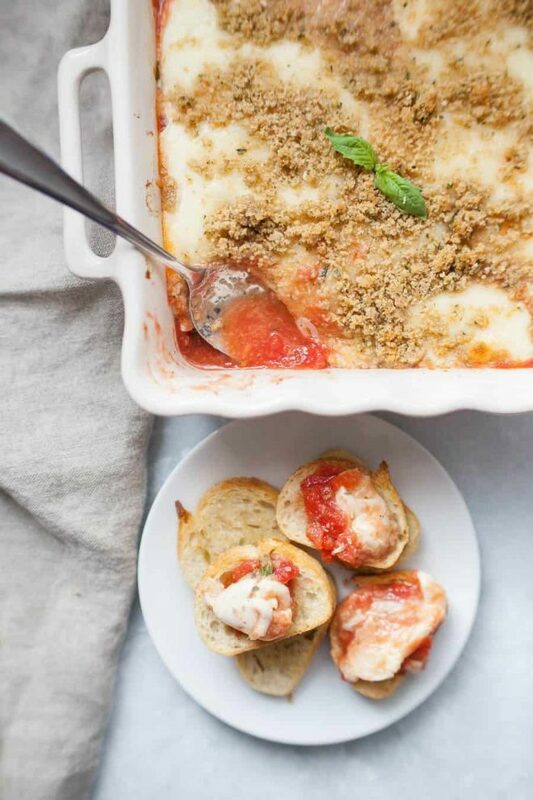 What is your favorite dip for the big game? 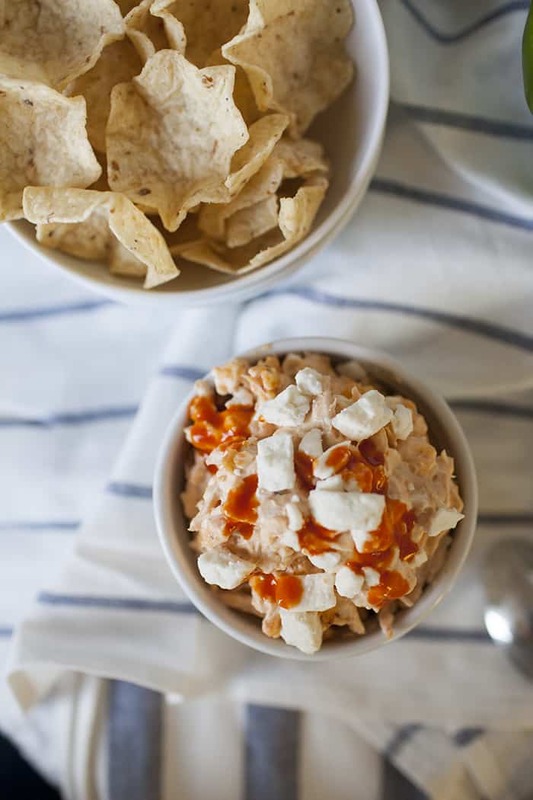 Would you make this buffalo chicken dip? Ooh yum! I love buffalo chicken dip, but I usually use canned chicken. 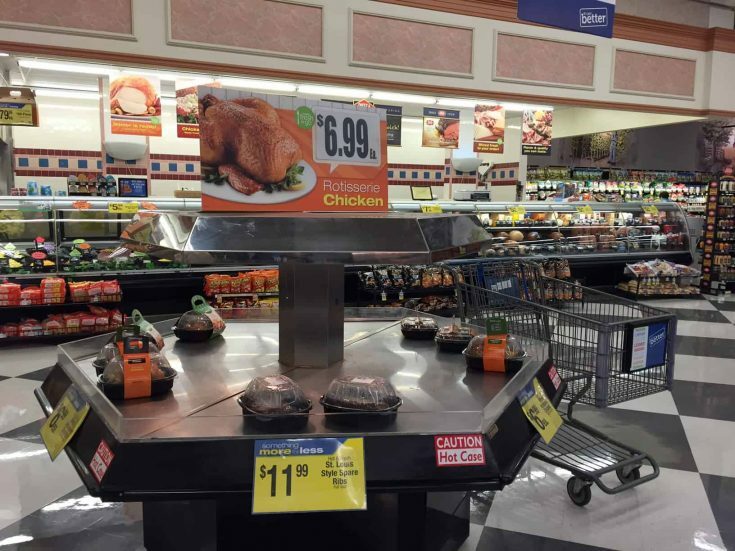 Using a rotisserie chicken would be so much better! Yum!! Definitely saving this one for Super Bowl weekend! YUM YUM! I haven’t had buffalo chicken dip in forever! I must try this! 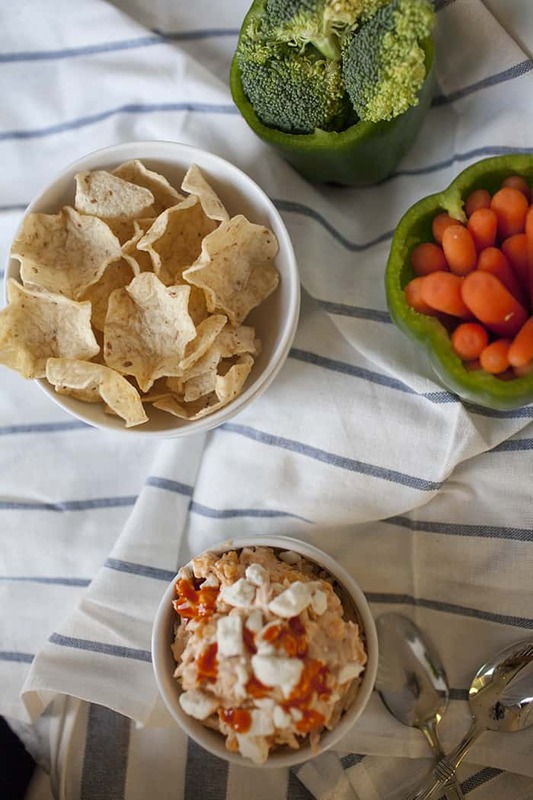 Buffalo chicken dip is my FAVORITE, and I love that you used real chicken in this! I would love some of this for next weekend!